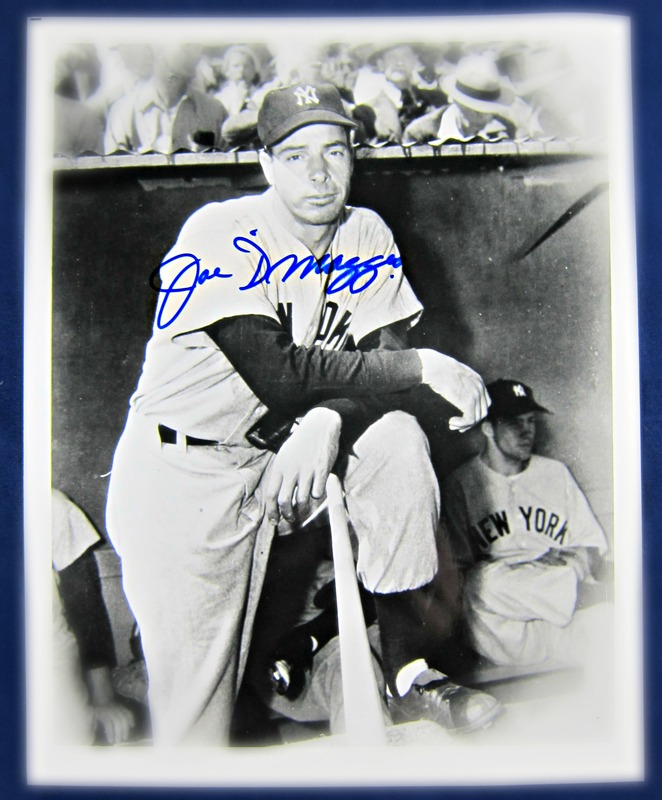 This black and white photo is a 8″x 10″ in size comes signed in blue sharpie by the Hall of Fame member, Joe DiMaggio. The picture shows to the Yankee Clipper at the bench getting ready to bat. The piece comes with letter of authenticity from Joe DiMaggio Estate.